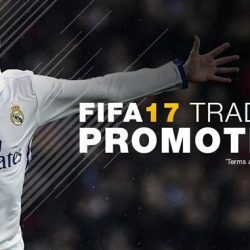 [PROMOTION] FIFA 17 Trade-in Promotion! Pre-order PlayStation 4, XBOX One, Nintendo Switch or PC FIFA 18 now at $64.00 when you trade-in* PlayStation 4, XBOX One FIFA 17! Promotion is available at all of our TOG retail outlets now. 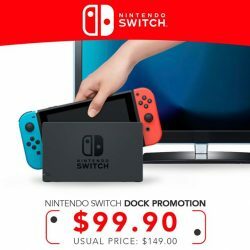 Get a second Nintendo Switch Dock for your regular hangouts or even your workplace for recreational activities at a promotional price! Promotion available at all of our TOG retail outlets. [Natures Collection] Up to 30% off* when you spend a min. Up to 30% off* when you spend a min. 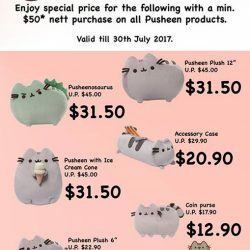 of $50 nett on all Pusheen products at Gifts Greetings stores! Promotion ends on 30th July 2017, while stocks last! [Natures Collection] Join our Pusheen photo contest today! Join our Pusheen photo contest today! Simply visit any one of the Gifts Greetings stores and take a selfie/wefie with the Pusheen products. Post it on your Instagram and stand a chance to win one of the exclusive gift sets! Don't be disappointed if you do not get into the top 5, as we will reward you with a consolation prize of 15% discount code! Contest ends on 30th July 2017. 2. Multiple posts are accepted, only the best post will be selected for participation. 4. Natures Collection denies posts that contain sensitive, violent and graphic content. 5. 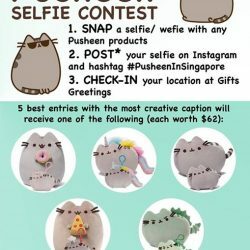 Each Pusheen gift set will be randomly awarded to each winning contestant. 6. Natures Collection reserves the rights to amend, suspend or terminate the contest. 7. Consolation prize refers to a 15% discount code for Natures Collection Store, more details will be revealed. The super-charged PS4 Pro boasts dynamic 4K gaming and 4K entertainment, with enhanced graphics and frame rate boosts ensuring that you have the best gaming experience on the market. 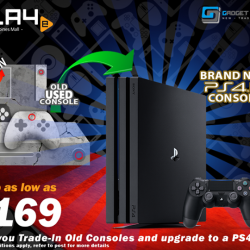 Now, you can get all that for as low as $169 by just trading in your old/current home console! We have very limited stock available for this promotion, so make sure you get it before we run out. Truly, greatness awaits! 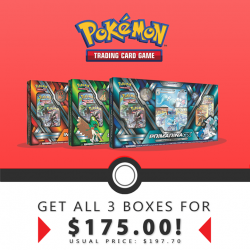 - Only working console sets are eligible for this promotion. Spoiled sets will be taken in at our usual price. - All cables (power cable/charging cable/HDMI cable) must be included. - All home console sets need to have at least 1 working controller. - Trade-in value for your old console set may be adjusted depending on the condition of the console(s). [Early Learning Centre] The frenzy is on – last 5 days till the end of our GSS! The frenzy is on - last 5 days till the end of our GSS! Grab your favourite deals in store and online now! 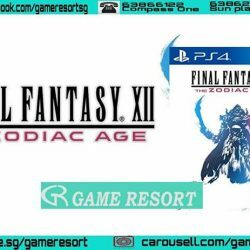 [GAME RESORT] PS4 Final Fantasy XII The Zodiac Age,Enter an era of war within the world of Ivalice. [GameMartz] Pre-order your copy of game at GameMartz store to enjoy pre-order special price and secure it too. Pre-order your copy of game at GameMartz store to enjoy pre-order special price and secure it too. Available at all GameMartz stores. 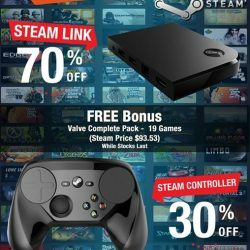 [GameMartz] Today is the last day of Steam Summer SALE. Today is the last day of Steam Summer SALE. As low as $35.70! Grab them now at your preferred GameMartz store. Promotion while stocks last, get it at any of our retail outlets now! 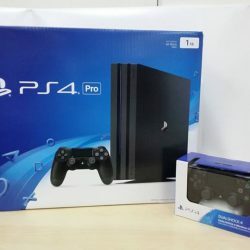 [GameMartz] Another awesome deal for PS4 1TB Pro Console coming up tomorrow! 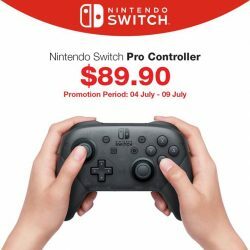 Take your game sessions up a notch with the Nintendo Switch Pro Controller! It includes motion controls, HD rumble, built-in Amiibo functionality, and more! 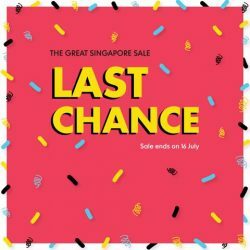 The promotion ends on 9th July! Don't miss it! 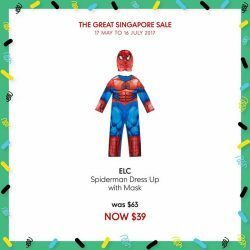 [Early Learning Centre] Transform your little one into their favourite superhero with our dress up costumes! Transform your little one into their favourite superhero with our dress up costumes! Dressing up is great for the imagination, and our superhero outfits allow them to role play whenever they are in a creative mood. [GameMartz Mid-Year SALE] Love Retro? 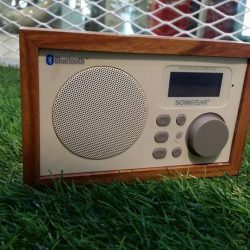 The cool Pandora Neo Classic Portable Digital Multimedia Speaker with Dual Alarm Clock available for sale at all GameMartz stores. It available for 2 colours - Maple & Cherry Oak. 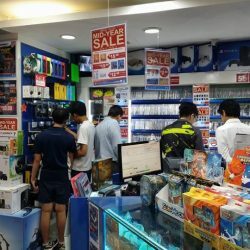 [GameMartz Mid-Year SALE] They are here to shop! [GameMartz Mid-Year SALE] 10% OFF on these 3D metal model kits! There are more than 50 models! 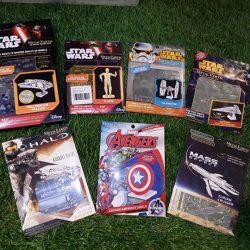 [GameMartz Mid-Year SALE] The cool Star Wars Magnet with 10% OFF. 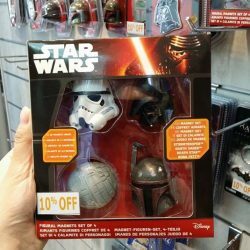 If you are a big Star Wars fan, you shouldn't miss it! 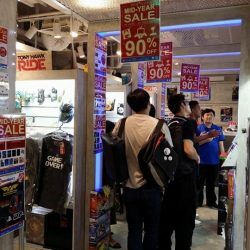 [GameMartz Mid-Year SALE] Final week of SALE up to 90% OFF. Shop now! 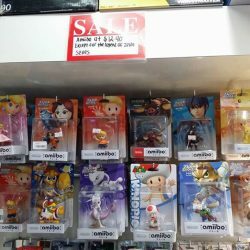 [GameMartz Mid-Year SALE] Overheard a customer, he said 'What?! 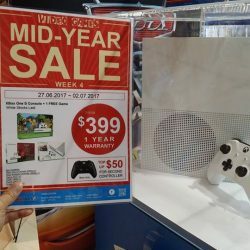 XBox One S console at only $399?' He made the payment immediately with happy face. 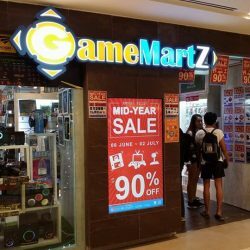 [GameMartz Mid-Year SALE] Get 10% OFF on top of member price if you are a Member! 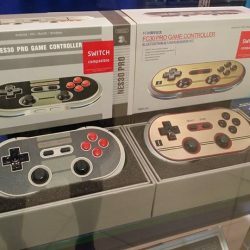 8bitdo FC30 and NES30 Pro controller compatible for Nintendo Switch / Mobile / Tablet / PC. 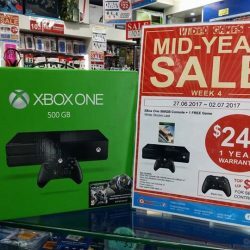 [GameMartz Mid-Year SALE] Check out our Week 4 console special which just started today! XBox One console with a FREE game at only $249 with 1 year local warranty. Be the first to grab the great deal at your preferred Gamemartz store this week. 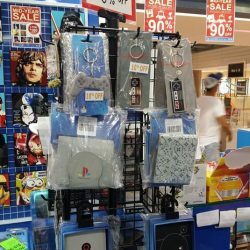 [GameMartz Mid-Year SALE] Get the cool merchandises with 10% OFF.